In Bhalka Tirth a hunter had mistakenly shot Lord Shri Krishna`s left foot by an arrow. After which, He initiated His leela to left the earth. 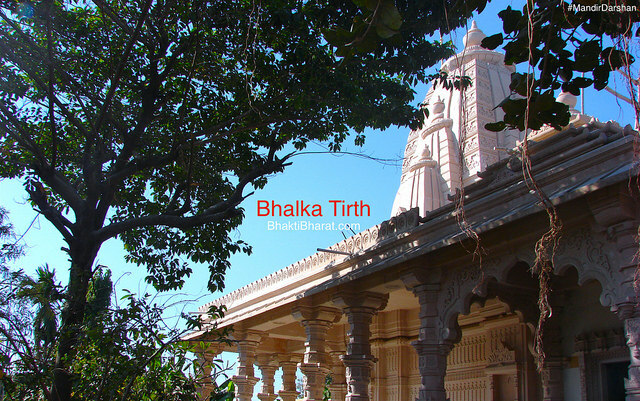 The meaning of arrow is known as Bhall, so this pilgrimage has been known as Bhalka Tirth. This grand pilgrimage and tourism site managed by Shree Somnath Trust and located 4 km from from Somnath Temple. This Place, a Hunter Shot an Arrow to Shri Krishna. A Part of Shri Krishna Neejdham Prasthan Leela. Under The Guidance of Shree Somnath Trust of Gujarat.